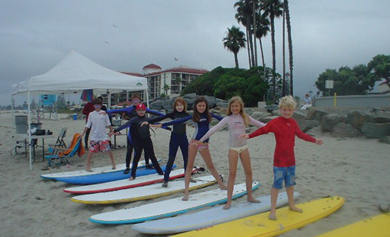 Surfing Lessons in Coronado. The best value in surfing instruction. 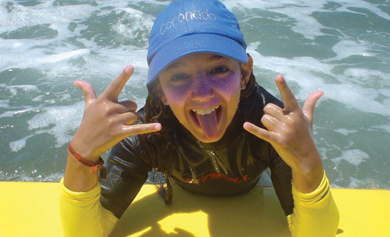 All lessons include professional instruction, full body wetsuit & soft surfboard. 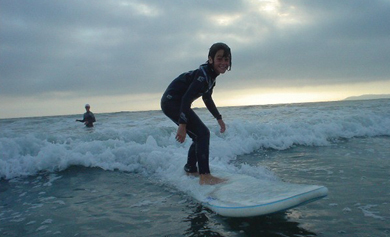 The time for each surfing lesson is approximately 90 minutes with at least 60 of those minutes spent in the water. We offer lessons 6 days per week and are closed on Sundays. Reservations are highly recommended however same day lessons may be available. Please call or text 619-293-3883 for same day appointments. 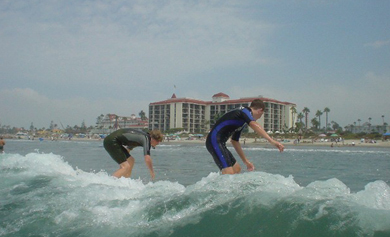 *Coronado Surfing Academy is a licensed contractor for the City of Coronado & price includes a 20% fee paid to the City. 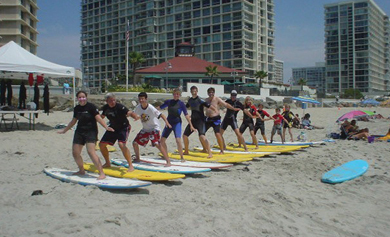 "Coronado Surfing Academy provides a wonderful opportunity for anyone who wants to try surfing once or make it a hobby. A wonderful experience!. We will be back!" "You made our visit better than expected. We have never found anyone /place that took reservations over the phone and delivered better than expected with NO issues or problems." 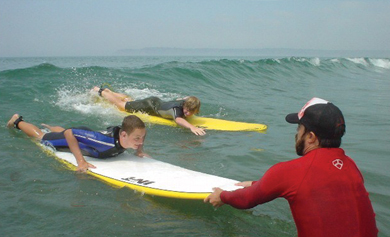 "Teevan and his team of professional instructors provided my two boys with excellent surfing lessons, important safety tips and memories that will last a lifetime. Thanks guys!" Upon completing this equipment rental request, you will receive a rental confirmation!